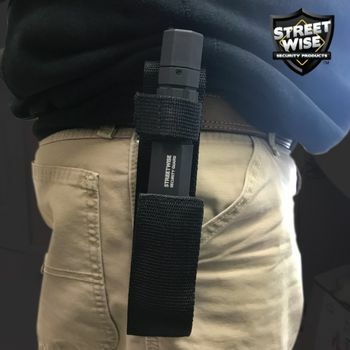 Carrying the Security Guard 24/7 Stun Gun is like having a security guard with you 24 hours a day, 7 days a week! The bright flashlight features high, low, and strobe modes while the powerful stun gun is sure to make quick work of any bad guy that gets too close. It's rubberized armor coating protects the unit so it will be ready to protect you whenever needed. The rubber, grenade textured handle helps you maintain a firm, non-slip grip and the heavy-duty nylon holster with belt loop makes it easy to carry.